Are you a mechanic, an artist or a doctor? Or are you all or part of these? 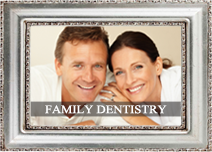 Comprehensive aesthetic dentistry is the fusion of art, physical science and psychology. The beautiful smiles and successful treatment created are created not by chance, but by an understanding of these concepts.. It is recognition that aesthetic dentistry and the synergy of our individual senses is what defines completeness in our cases. It is the difference between cosmetic and aesthetic. First, let us attempt to understand the dif­ference between aesthetics and cosmetics. In other words, aesthetic dentistry is an integral part in establishing a synergy, a contribution to beauty of the total face when considered with­in the context of the face rather than the en­hancement of one part. How does dentistry ac­complish that? Would not just bleaching teeth that are misaligned result in the enhancement of the total face? From the artistic viewpoint and true to the meaning of aesthetic, the an­swer would be no. You would now have only shade enhanced (whiter) teeth that could draw closer attention to the compromised alignment and proportions. In the cases shown, each patient first stated they wanted their teeth to be whiter. Their question was, ‘Doctor can you bleach my teeth to make them whiter?’. Although this would at times be argued by the inexpert patient and sometimes dentist as an improvement it would not be totally worthy of being labeled comprehensively aesthetic. Aesthetics has been defined as restitution of form and function in harmony with a biologic environment. It considers the whole scene not just the individual parts within it. Aesthetic dentistry is an effort to imitate nature and if properly orchestrated, it yields a result that is harmonious with what surrounds it. It is truly an art form. Cosmetic, by its own definition is: something superficial, to cover a defect. Nowhere does it allude to consideration of what exists around it or what is artistically beautiful. Art has the ability to elicit sensory respons­es. Dental art when combined aesthetically with that which surrounds it can elicit sensory response. The sense of touch or feel and the visual sense are all stimulated by the presence of a func­tionally aesthetic smile. Perhaps the most no­table sense, which in art is sometimes known as the sixth sense, is the sense of emotion. This manifests in a tremendous way when we see the aesthetically compromised patient come to tears when they receive their new smile. We see it when the patient no longer covers their mouth when they speak or when they laugh. We see it in the response of others who view the aesthetic transformation of their friend or loved one. The sense of emotion is released and it is because of what is physically viewed and felt. Comprehensive dentistry is a cliché touted and overused in our profession. Although the in­tent of its use is admirable, the understanding of its meaning I believe is sometimes ambigu­ous. To enter into the realm of aesthetics, of facial aesthetics in particular, one must realize the unchallengeable psychological influence on the success or failure of treatment planned or rendered. Addressing this entity must be in­cluded in the definition of comprehensive if it is truly to be so. 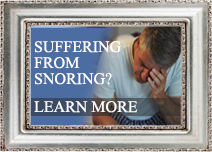 How many times have those of us in our aesthetic dental careers placed what we have thought to be an amazing aes­thetic result only to have the patient respond in an unenthusiastic or negative manner. First and most important, you must be able to deliver the goods promised. In other words, are you capable? Have you commit­ted yourself to the highest level of learning to provide the mechanical/functional and artistic skills that you have declared yourself capable of? And, perhaps, most importantly what ef­forts have been made preoperatively to involve the patient in the choices of their treatment outcome? The patient who brings in the picture of their favorite movie star/celebrity and says, ‘I want a smile just like theirs’, can set the stage for failure if you say OK and cannot deliver no matter how nice the outcome you perceive. If the smile request by the patient is impos­sible to attain, then we must convey to them in some way what can be attained within the context of their inherited facial form. No other method of communication to accomplish this is better than accurately produced computer generated imaging. If we are to claim ourselves as ‘Cosmetic Dentists’ then maybe, whitening of teeth in some fashion need be our only tool and more correct to the title bestowed. But, if we claim ourselves to be artists of the smile and truly concerned with optimum aesthetic, functional and psychological results within the context of the entire face and being of the patient, then the title of ‘Comprehensive Aesthetic/Restorative Dentist’ would be more appropri­ate and fair to those who are committed to this level of education. Computer digital imaging is nothing new, however it’s use has been limited due to software that is not user friendly. Simplicity, predictability and accuracy are the key components defining successful computer imaging, technology and it’s use. Software systems in the past have been known to be difficult and time consuming. The end result of those images is left to the ability of the person doing the imaging and the software used. As a result, dentists actually using digital imaging are quite low. So what is the solution to this dilemma? Pictures! Why do we have pictures? Because, to quote an old adage, ‘pictures are worth a thousand words!’. Is a patient more apt to accept aesthetic treatment when they can visualise themselves with an end result before they commit to it? The answer is yes. ‘Outside of the credentials of the doctor and staff and the comfort you felt with them, what was the most significant fac­tor in deciding to have your smile makeover done?’ The response was resounding. Their comment was, ‘being able to see myself with a new smile before it was ever done’. In addition, the digital imaging can be used as a communication tool to the surgeon, with the use of a visual aid. Evaluating a patients smile to determine dis­crepancies in length to width ratios, buccal corridor deficiencies, gingival height and bal­ance all affect the realism of a computer gen­erated image but also the end clinical result. Computer digital imaging is an intragul part of a successful cosmetic dental practice. It is the most visually important method of communication to our patients in establishing the aesthetic possibilities for them. When tooth mass is less than the size of the arch it is contained within the resultant effect is spacing. This can present in a minor fashion involving only a slight space between teeth or may present in a more major way exhibiting large space areas between two or more teeth. Most commonly we view this in the upper anterior teeth. The involvement between the central incisors is that area that usually signals an aesthetic concern. However, diastema presence between central/laterals, laterals/cuspids and even cuspid/bicuspids often coexists in the patient with diastemas between the central incisors. Attention to all areas of spacing is significant in attaining a natural and harmonious smile that will fit with the perioral and extraoral features of that patient. Diastemas can be due to growth and development deficiencies, excessive incisor vertical overlap from different causes, tooth size discrepancies, tooth angulations, pathological conditions, as well as many other factors (Reference 1 ). Space closure can be attained through different modalities of treatment such as orthodontics and restorative/esthetic procedures. While orthodontic treatment is always an important choice to consider, it does not give the latitude to dramatically change shade, proportion and balance to a patients smile. 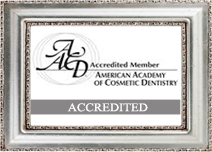 The art of smile design as taught by such aesthetic programs as the Aesthetic Advantage (New York, Palm Beach, London, Indianapolis), takes into consideration the total patient concept of determining the right smile design for that patient. That concept being detailed evaluation of the intra oral, perioral, and extra oral features of that patient combined with a comprehensive evaluation of the functional concerns to make that smile design harmoniously coexist. Diastema closure is one of the more common indications for the use of porcelain veneers. However, closure of a diastema without consideration of length and width proportions of all teeth in the smile envelope will most likely result in esthetic compromise. In other words, the space must be closed proportionally and distributed amongst all the anterior teeth/posterior teeth exposed during smile. If the size of the diastema is x, then the distal margin of the centrals should be trimmed to x/2. This should proportionally be done at the laterals within the limits of x/4 and should be compensated for with the canine width (Reference 2). Rarely are we able to close these spaces without also affecting the vertical dimension of the teeth involved. This means lengthening the teeth in some fashion. We are limited to only three possibilities. Length gained from the gingival aspect or length gained from the incisal aspect or a combination of both. Obviously, if our need is to expose more incisal edge to our tooth for either functional or esthetic reasons or gingival display is not a concern, and then length need only be acquired from the incisal direction. If the incisal edge length is acceptable then length can be gained from the gingival direction. However, more often than not, a combination of these two directions is necessary to meet the esthetic demands of proportion to prevent the veneers from looking either too short or too wide. Consideration to the gingival zenith position is also important. Diastema closure often requires repositioning of the gingival zenith mesially. This avoids a mesially tilted appearance of the involved teeth (Reference 2__). If we take a moment and begin to evaluate this patient from the inside the mouth then out and back we will see the importance of proportion and the interrelationship of tooth size to the surrounding introral and extraoral features of that patient. This holds true for what ever case scenario we are presented with. It can be the crowding case, the normal alignment case or germane to our discussion here, the excessive spacing case. It is readily apparent that tooth mass is disproportionate to the surrounding features of this patients face. Tooth length and width are remiss and must be added to improve not only the dental esthetics but the overall facial esthetics of this patient. The diastema between the central incisors poses our first concern. How do we close this space and create a harmonious emergence profile of the ceramic veneers and how do we maintain the proper length to width ratio while doing this? Soft tissue alteration is a critical element in setting up this scenario. Because of the diastema, normal and esthetic interdental papilla form is missing. 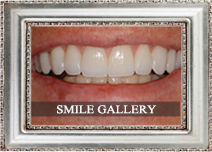 Closure of this space by the ceramic veneer provides only a part of our esthetic goal. Creating the dental papilla is the other. To do this it is important to remember that vertical length of the interdental tissues should be maintained as much as possible. The likelihood of creating a dark triangle increases if the distance between the intercrestal bone and the apical contact of the veneers is more than 5 mms (Reference 3__ ). Additionally, the emergence of the restoration from beneath the gingival tissues (interdental papilla) must do so in such a way as to mimic the natural anatomical design of the tooth/ soft tissue relationship. If we attempt to design the preparation through traditional preparation design protocols by staying supragingival (if possible) and creating the interproximal elbow, our resultant prep (although in theory correct) would fall short of allowing us to achieve the esthetic goal. In other words, the ceramist would only be able to extend the porcelain from the prepared margins interproximally. Prepped in the above manner would result in no other choice but to have ceramic extended at angles to close the diastema and an interproximal thickness of the ceramic that would be thin lending to the possibility of shine through of the dark area of the mouth. Additionally this would yield an improper emergence profile and square disproportionate veneers. ( Reference 4) . Creating proper preparation design for diastema closure requires that the finish margins on the diastema side be placed subgingivally (Reference 2). Cuffing of the interdental papilla ( Oddessey Diode Laser, Ivoclar) without altering the papilla height in addition to the subgingival preparation provides the room for the ceramist to extend the ceramic from the finish line incisally to replicate natural emergence profile from the gingiva. Preparation design for esthetic closure of the diastema dictates preparation design that would also extend palatally to a knife edge. This will provide the space for the ceramist to properly extend the ceramic into the diastema allowing for adequate thickness of the ceramic and thus block out of the dark coloration of the mouth behind the veneers (Reference 2) . More hygienic contours also result from this method of preparation design. This rationale of prep design follows for all circumstances in which significant diastema closure is mandated. To create length to width proportions that are harmonious between all teeth within the smile envelope necessitates the involvement of many of the teeth within that dimension. To add length and width dimension to only those teeth associated with the diastema can yield an incongruous smile design. Therefore consideration in treatment planning of the entire smile envelope of a redundant spacing case is imperative. The addition of increments of length and width to a number of teeth enables us to effectively accomplish the desired result of proportion not only within the context of the dentition but as importantly within the context of complete facial anatomy. The role we have as esthetic/cosmetic dentists is not limited to changes in the dentition alone. The alteration of proportions within the dentition through our technical skills, knowledge of soft tissue responses and preparation design variations dramatically impacts the esthetic relationship the smile will have with the face. Whether it be a redundant spacing case such as we have discussed in this paper or a crowding case which we will discuss in a subsequent publication, it is important to realize the distinct differences in how we approach these cases and how to resolve the problems that are uniquely inherent within them. Belsere UC, Magne P, Magne M. Ceramic laminate veneers: Continuous evolution of indications. J Esthet Dent 1997: 9:197-207. Gurel G, T Porcelain Laminate veneers for Diastema Closure. Goldstein RE, Esthetics in Dentistry. 2nd ed. Hamilton, ON: BCDecker Inc, 1998:123-133.